For other uses, see Battle of San Juan. Ship entering the bay of San Juan, in front of Fort San Felipe del Morro - view from Isla de Cabras. The Battle of San Juan (1595) was a Spanish victory during the Anglo–Spanish War. This war broke out in 1585 and was fought not only in the European theatre but in Spain's American colonies. After emerging from six years of disgrace following the resounding defeat of the English Armada at Lisbon in 1589, Francis Drake embarked on a long and disastrous campaign against Hispanic America, suffering several consecutive defeats there. On 22 November 1595 Drake and John Hawkins tried to invade San Juan with 27 ships and 2,500 men. After failing to be able to land at the Ensenada del Escambron on the eastern end of San Juan Islet, he attempted to sail into San Juan Bay with the intention of sacking the city. Unable to capture the island, following the death of his comrade, John Hawkins, Drake abandoned San Juan, and set sail for Panama where he died from disease and received a burial at sea after failing to establish an English settlement in America. Queen Elizabeth I of England sent Sir Francis Drake and Sir John Hawkins on an expedition against the Spanish stronghold of Puerto Rico and Panama, in an attempt to strike a blow against the source of Spain's gold and silver. They set sail from Plymouth on 28 Aug. 1595, with a fleet of 27 ships and 2,500 men. Previous to that, the Spanish West Indian Fleet under the command of Gen. Sancho Pardo Osorio had sailed from Havana on 10 March with 2,000,000 pesos in gold and silver, bound for Spain. Damage from a storm in the Bermuda Channel on the 15th, necessitated a trip to Puerto Rico for repairs, which was reached on 9 April. The treasure cargo was placed in La Fortaleza for safekeeping while repairs were undertaken. Admiral Pedro Tello de Guzmán, commanding 5 frigates, was sent to retrieve the treasure. Along the way to Puerto Rico, Tello captured one of Drake's ships, the Francis, near Guadeloupe, upon which he learned of Drake's mission, and hastened to Puerto Rico ahead of Drake. General Sancho took command of the shore defenses, Admiral Gonzalo Mendez de Cauzo commanded the forts, while Tello defended the harbor with his frigates. 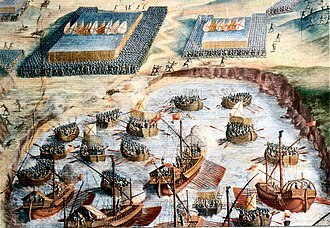 The Spanish decided to sink two vessels at the harbor entrance, with Tello's frigates just behind, to prevent the English from entering the harbor. The Spanish defense consisted of 1500 men, 800 of whom manned the 5 frigates, with 70 land-based cannon in addition to those on the frigates. Hawkins had died on 12 Nov. from a fever, while Drake arrived offshore Puerto Rico on 22 Nov., anchoring off the Boquerón Inlet. The Spanish brought up artillery and scored hits upon Drake's ship, Defiance, killing Sir Nicholas Clifford and Browne. Drake moved his fleet to the vicinity of Isla de Cabras on 23 Nov. 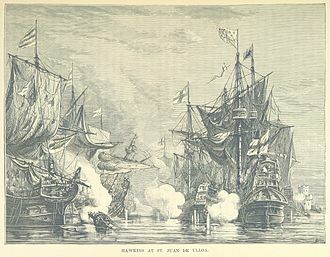 The same Thursday, 23rd, San Clement's Day, at ten o'clock at night, when it was quite dark, the enemy commenced an attack on the port with twenty-five boats, each carrying fifty or sixty men well armed, with the view of burning the frigates, as was afterwards seen, and they all entered up close to the platform of the Rock (battery), ranging themselves under the fire of the artillery...Most of the boats attacked the Capitana, the Texeda frigate, setting fire to her at the bow, and throwing into her a quantity of fire-pots and shells while ours succeeded in extinguishing the flames before they had done any damage, the fight being carried on by cannon, musquetry and stones. "At the same time they set fire to the Sta. Ysabel and Magdalena frigates, and to the Sancta Clara, which was extinguished; but the third time that the Magdalena frigate, of which Domingo de Ynsaurraga was captain, took fire, it was impossible to extinguish the flames, as the ship took fire at the stern and burned furiously; and all that could be done to maintain a footing on board, was done by the aforesaid captain and the people with him, until the ship was just burnt down and twelve men were killed by the enemy's musquetry, besides as many more burnt...The battle lasted for an hour, the most obstinately contested that was ever seen, and the whole port was illumined by the burning frigate in a manner favourable for the rest, who could thus see to point our artillery and that of the forts, with which, and with the musquetry and stones thrown frown the frigate, they did such effect, that the enemy, after about an hour, during which the combat lasted, as I have said, retreated with the loss of nine or ten boats and more than four hundred men, besides many more wounded; while on our side, the only loss was that of the frigate and forty men killed or burnt, besides a few wounded by the musquetry. On 25 Nov., Drake's fleet gave up the fight and departed. The Spanish treasure fleet finally left Puerto Rico on 20 Dec. 1595, bound for Spain. This defeat and the defeat at Pinos ended English hopes of establishing a presence in the Caribbean Sea. In the first days of 1596 Drake was diagnosed with dysentery, and on 28 January he would die. ^ a b c d e The Forts of Old San Juan. Washington, D.C.: Division of Publications, National Park Service, U.S. Dept. of the Interior. 2018. pp. 31–34. ISBN 9780912627625. ^ a b c d e f g Maynarde, Thomas (2016). Cooley, W.A. (ed.). Sir Francis Drake, His Voyage, 1595, including An Account Of What Took Place At San Juan De Puerto Rico, In The Indies, With The English Fleet Under The Command OF Francis Drake and John Hawkins, On The 23rd November 1595 (The Hayluyt Society ed.). New York: Routledge. p. 4-5,9-11,46-63. ISBN 9781409412700. Retrieved 8 March 2019. ^ a b c d Van Middeldyk, R.A. (1903). Brumbaugh, Martin (ed.). The History of Puerto Rico: From the Spanish Discovery to the American Occupation. D. Appleton and Company. pp. 114–119. Retrieved 6 March 2019. ^ Dislates y Disparates sobre el Relámpago del Catatumbo: La expedición de Drake, de 1595, Ángel Vicente Muñoz García, Centro de Modelado Científico, Maracaibo, agosto 2016. Konstam, Angus (2008). Piracy: the complete history. Oxford, UK: Osprey Publishing. ISBN 978-1-84603-240-0. Van Middeldyk, R. A. (2008). The History of Puerto Rico. Teddington, UK: Echo Library. ISBN 978-1-4068-7497-6. The battle was part of an expedition by an English fleet initially led by Sir Walter Raleigh, and by Martin Frobisher and John Burrough. The expedition involved the capture of a number of Portuguese and Spanish ships including the large Portuguese carrack Madre de Deus, the expedition, particularly the capture of the great carrack, was a financial and military success. 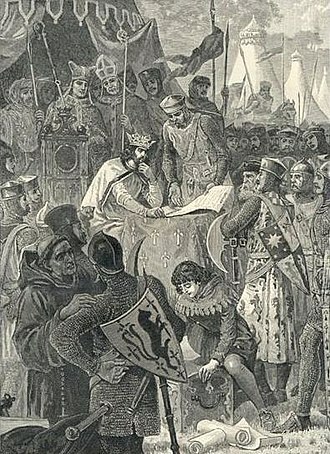 The expedition had formative consequences for the English both financially and on the future of English exploration, by virtue of the Iberian Union that joined the crowns of Portugal and Spain in 1580, the Anglo-Portuguese Treaty of 1373 had fallen in abeyance. As the Anglo–Spanish War was ongoing, Portuguese shipping was a target for the Royal Navy. Sir Walter Raleigh, having only just been released from the Tower of London and he outfitted a sixteen ship naval squadron of which two, the Garland and Foresight belonged to the Queen. The expedition was a private venture much like the Drake-Norris expedition, supported by limited assistance, Raleigh appointed Burrough as his vice-admiral and was joined in commission with Frobisher, who had knowledge of maritime affairs. George Clifford, the Earl of Cumberland had the largest stake in the expedition and helped Raleigh to finance, the majority of the fleet were owned by investors, the ship Dainty for example was owned by John Hawkins, but was captained by John Norton. The fleet included notables such as William Monson, Robert Crosse, captain of the Foresight, Samuel Purchas, Richard Hawkins and Christopher Newport, the expedition launched from Dartmouth, setting sail on 6 May 1592 after delays due to bad weather. The planned voyage to the West Indies was put on hold as supplies had already been depleted during the delay, instead the fleet intended to head towards the Azores to intercept a Spanish treasure fleet or Portuguese carracks heading homeward from the East Indies. Initially Raleigh commanded, but on the day,7 May. Raleigh was given letters from the Queen ordering his immediate recall to England, on 11 May a storm struck just off Cape Finisterre, scattering the majority of the fleet, three small ships were sunk and Garland very nearly foundered. The English were soon joined by a Dutch fleet under Jan Adriaanszoon Cant and they completed the destruction. Buoyed by this achievement he had indulged Philip III of Spain, however the council brought him down to a mere eight galleys, provided at Spinolas expense. He was on his way from San Lucar to Lisbon but he was defeated by Sir Richard Leveson at Sezimbra Bay which cost him two galleys, after this defeat Spinola took his remaining six galleys back to Lisbon and filled his vessels with pay chests for Flanders. During the sailing to Flanders he took an English ship, which he left at A Coruña, at Santander he took on a further 400 troops to complete the Tercio complement of 1,600 men. In England word had spread that Spinola was on his way in an attempt to run the English channel again. His heading was for Sluis with the six galleys, of whose approach was well informed by Robert Cecil even when they arrived at Blavet in Brittany at the beginning of October. 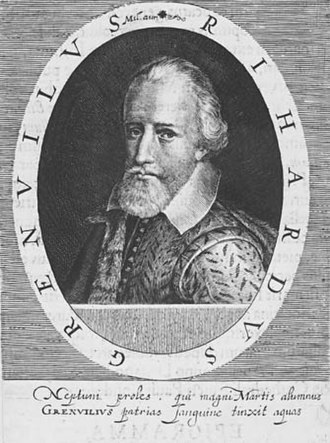 Queen Elizabeth decided to act, so she appointed Sir Robert Mansell to join with the States fleet before Dunkirk and Sluis, to see what they could do to impeach them. Van Duyvenvoorde, coping with an outbreak of smallpox by which he was afflicted himself, sent four of his ships back north under Jan Adriaanszoon Cant, with three ships departed and patrolled about Dungeness. Mansells flag captain came up with the strategy on how to tackle Spinola, on the 3rd Mansell was soon joined by two Dutch flyboats and the Moon to improve communication and now Spinola was effectively sailing into a trap. In the moonlight of 3 October just before midnight Mansell was on the lookout for Spinolas galleys and were soon sighted, Mansell ordered an attack and off Dungeness, Moon and the Answer charged at the galleys. On the other hand, it is claimed that Spinolas galleys succeeded in passing almost unscathed between the English ships by rowing at full strength. By the time they reached Goodwin Sands the Spanish galleys started to retreat in desperation for the Flemish coast. A gale was now blowing strongly from the West which hampered Spanish attempts and they were pursued by the English ships. The English were able to achieve victory after a bitter fight. Two Spanish galleons were captured, one of which was subsequently burned, the Anglo-French consortium occupied the area and after two weeks withdrew with captured booty. With the Anglo-Spanish war still raging, English privateers were harassing Spanish shipping and these were mainly London merchants who, in a grinding war of attrition, were still able to roam the coast of the Spanish New World. In charge of one of these expeditions was veteran Christopher Newport who had been in the Caribbean since 1602 and had continually returned and he had lost his arm during a successful expedition in 1590 but this did not still stop him from fighting. The 300- to 350-ton English vessels – Archangel of Geare, Newports Neptune, Newport had successfully raided Puerto Caballos before in May 1592, where he captured a 200-ton merchantmen. He knew the area well but the fleet needed supplies badly so they headed first for Jamaica, on 24 January 1603, while heading for Puerto Caballos, the Anglo-French flotilla raided Jamaica. Newport and his associates withdrew with minor losses, in the dark on 17 February the English ships followed by the French slavers reached the port of Puerto Caballos and detached seven boats with 200 men and light artillery. They hoped to board the two partially laden Spanish galleons at anchor in the rather than destroy them. The galleons were Captain Juan de Monasterioss 600-ton Nuestra Señora del Rosario and these were the flagship and vice flagship of the flota of New Spain. At almost sunrise the attackers rowed towards the galleons hoping to use surprise, warning shots were fired, but soon the English and French boarded both the galleons. Both sides were near exhaustion but the English finally took the Nuestra Señora del Rosario, with that the San Juan Bautista, seeing the position was hopeless, surrendered not long after. To prevent a Spanish counterattack Newport immediately ordered an attack on the port itself, after a short fight the Spanish soon fled the town and after nearly eight hours the battle was over. This was part of Francis Drakes Great Expedition and was the last engagement on the Spanish main before Drake headed north for the Roanoke Colony. 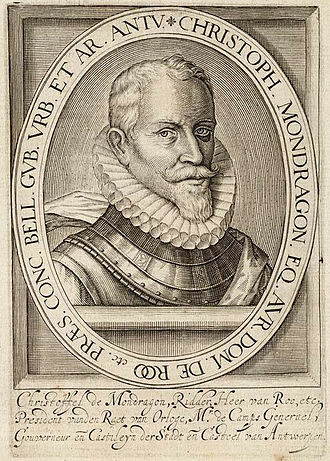 The expedition forced the Spanish to abandon any settlements and forts in present-day South Carolina, war had already been unofficially declared by Philip II of Spain after the Treaty of Nonsuch in which Elizabeth I had offered her support to the rebellious Protestant Dutch rebels. 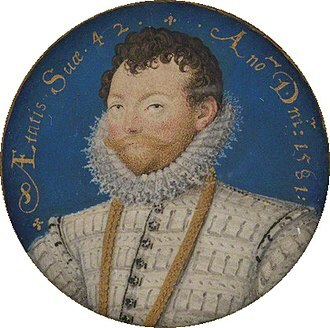 The Queen through Francis Walsingham ordered Sir Francis Drake to lead an expedition to attack the Spanish New World in a kind of preemptive strike. Drake wanted to strike at another Spanish city on the Main before finally visiting and replenishing Sir Walter Raleighs new colony of Roanoke Colony on the American East Coast, after this he hoped to make the Transatlantic crossing back to England. The fleet traveled north within sight of land on the Florida peninsula sailing past the West coast, on 27 May 1586 as they approached further north a small fort was spotted on the shore, with a small inlet close by. This was the location of St Augustine, the most northerly town in Spains New World Empire, and the oldest permanent colonial settlement in North America. Drake knew of the place and was aware of the fact that the Spanish under Pedro Menéndez de Avilés had ordered all of the French Huguenot colonists that had tried to settle in the area executed. Drake decided on one final opportunity to raid and plunder, the English attacked and bombarded a small wooden fort in the sand dunes, the Spanish there fired only a few shots and fled. Drake sent a party to investigate, while Carleill and a few volunteers rowed a ships boat into the inlet. It sat on a strip of sand, separated from the mainland by a band of water, a French Huguenot Nicholas Borgoignon, who had been taken prisoner by the Spanish six years before was found in a boat and agreed to guide the English to the Spanish settlement. The Spanish settlers withdrew inland and hoped to make surprise raids against the English gradually and his men occupied the area of the small fort but during the night Indians attacked, launched by native allies of the Spanish garrison. After a few shots by the Spanish the English landed and took the fort with only a few losses and they found it deserted as the Spanish had fled but found intact a gun platform with fourteen bronze artillery pieces. They found a chest containing the garrisons pay, about 2,000 gold ducats which was left behind in the retreat. Drake knowing the Spanish had fled, began to plunder what he could, he took the guns, soon the English came upon the main settlement of St. Augustine itself, this time they found it deserted. The Spanish however were just beyond the settlement in the outskirts, when Drakes men arrived, anthony Powell one of Carleills deputies was killed in the opening shots as he tried to assault the outskirts. Carleills men charged all the way to the outskirts of the town into the forcing the Spanish to retreat leaving Drake in control of the settlement. The English garrisoned it overnight and the following day razed the whole of St. Augustine to the ground, all buildings were torched, crops were destroyed and anything of value was either taken or destroyed. 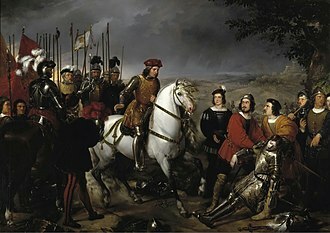 The Capture of Santiago was a military event that took place between 11–28 November 1585 during the newly declared Anglo-Spanish War. An English expedition led by Francis Drake captured the town of Cidade Velha in the Cape Verde islands that had recently belonged to the Crown of Portugal. He sacked it and marched inland before doing the same at São Domingos, afterwards Drake left and continued his expedition to successfully raid the Spanish possessions in the Americas. 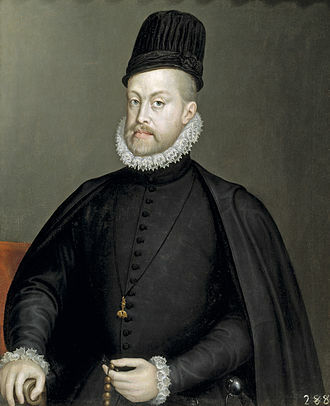 War had already been declared by Phillip II of Spain after the Treaty of Nonsuch in which Elizabeth I had offered her support to the rebellious Protestant Dutch rebels. 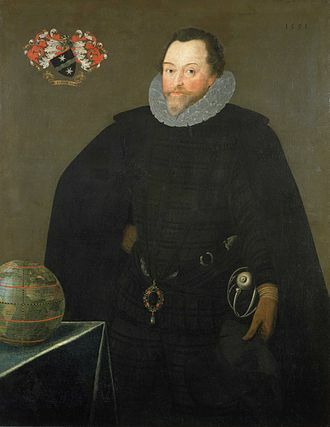 The Queen through Francis Walsingham ordered Sir Francis Drake to lead an expedition to attack the Spanish New World in a kind of preemptive strike. The expedition gathered at Plymouth, England on 14 September 1585 with Sir Francis Drake in command of twenty one ships with 1,800 soldiers under Christopher Carleill, sailing from Plymouth he first attacked Vigo in Spain and held the place for two weeks ransoming supplies. After taking on water from the undefended La Gomera island, he continued his voyage, by virtue of the Iberian Union, the Anglo-Portuguese Treaty of 1373 was in abeyance, and the commencement of war with Spain, Portuguese colonies and ships were now a target for the English. The Cape Verde Islands were a relatively poor archipelago that until 1580 had been Portuguese, Drake arrived off the islands in early November and set about planning his assault, in effect this would be baptism of fire for his men and a good rehearsal for future attacks. On the evening of 11 November, under cover of darkness Christopher Carleills assault force consisting of nearly 1,000 men landed on a four miles to the east. There was no resistance and set off on a march towards the town. Drakes ships moved into to position on the Queens Accession Day he ordered the firing of ordnance in her honor, the Spanish and Portuguese returned fire, but their firing was sporadic, and it soon petered out while Carleills men stormed the batteries and took the guns. Also captured was a caravel being built in a shipyard but the English upon their discovery of it disassembled the vessel, old bronze Portuguese and Spanish guns and equipment were taken from the batteries, in addition gun powder and cloth were seized from the towns warehouses. The houses were ransacked for food and the grove stripped of their fruit before finally, Drake set up his headquarters and sent emissaries to track down some of the inhabitants, as he planned to hold the town and burn it unless the islands governor paid him a ransom. After a number of days there was no response, so Drake rounded up the prisoners he had captured and interrogated them. The few that Drake held told him that the governor Gaspar de Andrade was in the village of São Domingos. Drake and Carleill led a force of 600 men in a trek into the dry, the inhabitants of São Domingos fled when the English approached, so Drake and his men looted what little they could, burned the village to the ground. The English returned to the coast, shadowed as they went by local militia, on 28 November, Drake made one last attempt to force the Spanish governor to pay a ransom, he was aware of a small settlement called Praia and so had plans to seize that too. The carrack, which was reputedly one of the richest ever to set sail from the Indies, was lost in an explosion which denied the English, as well as the Portuguese and Spanish, the riches. There was a support pinnace, the Violet, on 6 April 1594 they set sail from Plymouth, heading for the Azores. En route they roamed the coast of Portugal and Spain, capturing a number of ships, off Viana do Castelo, Portugal, a 28 tonne barque was captured as it headed towards Portuguese Angola. Near the islands of Berlengas another three Portuguese and Spanish caravels, were taken, one of which had twelve butts of Spanish wine and these were sent back to England under prize crews aboard the Violet while the rest of the fleet continued towards the Azores. They were hoping to avoid Alonso de Bazáns Spanish fleet which was on the lookout for Cumberland, on the 22 June 1594, as they approached Faial island, the Mayflower soon saw a great sail approach them and realized this was a huge Portuguese carrack. Constructed in Goa by the Viceroy Dom Constantino de Braganza in 1559-60, the rest of the fleet had consisted of the Santo Alberto, and Nossa Senhora da Nazareth. However the Santo Alberto and Nazareth had sprung leaks and were beached on Mozambiques coast. The Cinco Chagas took aboard such cargo in diamonds and other precious gems as had been salvaged from the two lost ships, as well their 400 passengers and crew members, of which 230 were slaves. Among them were two VIPs, Nuno Velho Pereira, the colonial governor of Mozambique, and Dom Braz Correia. The Chagas called in at Luanda, in Portuguese Angola, for supplies, the carrack attempted to reach the island of Corvo in order to replenish these lost provisions, but contrary winds forbade this, and so she tacked towards Faial. Soon afterwards however, the lookouts on Chagas spotted the English ships, at noon all four ships exchanged broadsides and musket volleys in a battle that lasted for nearly a whole day. The English ships tried to board the Cinco Chagas but were repelled by the larger Portuguese numbers, as casualties mounted on both sides the decks of the carrack were cluttered with dead and wounded. The Armada finally dropped anchor off Calais. 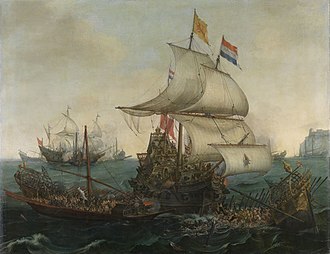 While awaiting communications from the Duke of Parmas army the Armada was scattered by an English fireship attack, in the ensuing Battle of Gravelines the Spanish fleet was damaged and forced to abandon its rendezvous with Parmas army, who were blockaded in harbour by Dutch flyboats. The Armada managed to regroup and, driven by southwest winds, the commander ordered a return to Spain, but the Armada was disrupted during severe storms in the North Atlantic and a large number of the vessels were wrecked on the coasts of Scotland and Ireland. Of the initial 130 ships over a third failed to return, the expedition was the largest engagement of the undeclared Anglo-Spanish War. The word armada is from the Spanish armada, which is a cognate with English army, originally from the Latin armāta, the past participle of armāre to arm, used in Romance languages as a noun, for armed force, navy, fleet. Armada Española is still the Spanish term for the modern Spanish Navy, Armada was the Portuguese traditional term of the Portuguese Navy. Henry VIII began the English Reformation as a political exercise over his desire to divorce his first wife, a devout Catholic, Mary began to reassert Roman influence over church affairs. Her attempts led to over 260 people being burned at the stake, marys death in 1558 led to her half-sister, Elizabeth I, taking the throne. Unlike Mary, Elizabeth was firmly in the reformist camp, Philip, no longer co-monarch, deemed Elizabeth a heretic and illegitimate ruler of England. 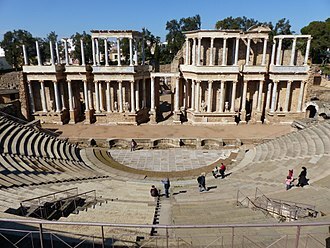 Under Roman law, Henry had never officially divorced Catherine, making Elizabeth illegitimate, Elizabeth retaliated against Philip by supporting the Dutch revolt against Spain, as well as funding privateers to raid Spanish ships across the Atlantic. In retaliation, Philip planned an expedition to invade England in order to overthrow Elizabeth, the King was supported by Pope Sixtus V, who treated the invasion as a crusade, with the promise of a subsidy should the Armada make land. A raid on Cadiz, led by Francis Drake in April 1587, had captured or destroyed some thirty ships and great quantities of supplies, the Duke of Parma would follow with a large army from the Low Countries crossing the English Channel. It was led by Sir Francis Drake as admiral and Sir John Norreys as general, and failed to drive home the advantage England had won upon the destruction of the Spanish Armada in the previous year. 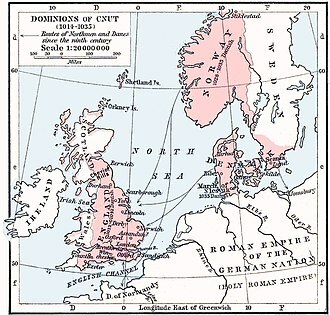 The campaign resulted in the deadlocking of the English expeditionary force, the Spanish victory marked a revival of Philip IIs naval power through the next decade. 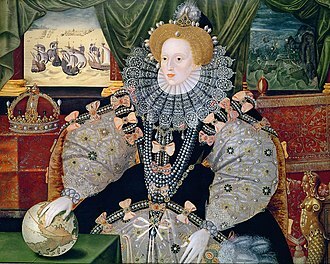 Queen Elizabeths intentions were to capitalise upon Spains temporary weakness at sea after the successful repulsion of the Spanish Armada, a further aim was to seize the Spanish treasure fleet as it returned from America to Cádiz, although this depended largely on the success of the Azores campaign. By securing an allegiance with the Portuguese crown, Elizabeth hoped to curb Spanish Habsburg power in Europe and this was a difficult proposition, because the domestic aristocracy and clergy of Portugal had accepted Philip as their King in 1581 at the Cortes of Tomar. The complex politics were not the only drawback for the enterprise, like its Spanish predecessor, the English expedition suffered from overly optimistic planning, based on hopes of repeating Drakes successful raid on Cadiz in 1587. Concerns over logistics and adverse weather delayed the departure of the fleet, when the fleet sailed it was made up of six royal galleons,60 English armed merchantmen,60 Dutch flyboats and about 20 pinnaces. In addition to the troops, there were 4,000 sailors and 1,500 officers, sailing with them — against the Queens express orders — was the Earl of Essex. Unforeseen delays and a fear of becoming embayed in the Bay of Biscay led Drake to bypass Santander, where most of this refitting was underway, and attack Corunna in Galicia instead. Norreys took the town, killed around 500 Spaniards and plundered the wine cellars located there whilst Drake destroyed 13 merchant ships in the harbour. For the next two weeks the wind blew westerly, and while waiting for a change the English occupied themselves in a siege of Corunnas fortified upper town. Those who remained turned their attention, first to Puente del Burgo, Lisbon was rumoured to be guarded by a disaffected garrison, but whilst the English were fruitlessly besieging Corunna, the Spanish had spent a fortnight shoring up Portugals military defences. After transferring his ill crew men onshore back to his ship, he led the Revenge in a rear guard action against 55 Spanish ships. Allowing the British fleet to retire to safety, the crew of the Revenge sank and damaged several Spanish ships during a day and night running battle. The Revenge was boarded many times by different Spanish ships and repelled each attack successfully, when Admiral Sir Richard Grenville was badly wounded, his surviving crew surrendered. Lord Alfred Tennyson wrote a poem about the battle entitled The Revenge, Revenge was on such a patrol in the summer of 1591 under the command of Sir Richard Grenville. The Spanish, had dispatched a fleet of some 55 ships under Alonso de Bazán, having under his orders Generals Martín de Bertendona, Bazán learned that the English were patrolling around the northern Azores. In late August 1591, having been joined by 8 Portuguese flyboats under Luis Coutinho, Howards fleet was caught while undergoing repairs and when the crews, many of whom were suffering an epidemic of fever, were resting ashore. Bazán tried to surprise the English fleet at anchor, but Sancho Pardos Vice-flagship lost their bowsprit and it was not until 5 PM when Bazáns ships bore down the channel which separated Flores and Corvo islands. Howard, alerted to the arrival of the Spanish, managed to slip away to sea, an exchange of fire took place between both fleets before they became separated. Grenville, preferred to fight and went straight through the Spaniards, Defiance, Howards flagship, received heavy gunfire from Aramburus San Cristóbal before withdrawing from the battle. Revenge was left behind and directly engaged by Claudio de Viamontes San Felipe, viamonte boarded the English galleon, suffering the misfortune of the grappling hook parting after having only passed 10 men aboard her. Shortly after Martín de Bertendonas San Bernabé did the same, this time successfully, San Bernabé´s grappling was decisive to the fate of Revenge, because the English warship lost the advantage of her long-range naval guns. Conversely, the heavy fire of the Spanish infantry forced the English gunners to abandon their post in order to repulse the attack. The war with Spain was continuing and English privateers were still roaming the Spanish American empire for prizes and attacking ports. At Cubagua they were offered a ransom in exchange for a number of boats they had seized. Near Cabo de le Veda they captured a Portuguese slaving ship, Parker next guided what was now a flotilla of 6 ships to the east of a recently abandoned Nombre de Dios and approached Portobello in pinnaces and shallops with the help of the black guides. They disembarked a vanguard of some forty men from the shallops and his men were able to enter the city on the south shore unopposed since the castle of Santiago de la Gloria was positioned too far away to offer any protection. Whilst some of their party created as much noise and panic as possible in their attack on the barracks, the 100 Spanish defenders which the Spanish Governor Pedro Meléndez had sent was too little too late. There was a battle fought to seize the treasure house. The English were able to push the rest of Spanish troops with ease inland, by the end of the day however Parker had secured the town and set about garrisoning the place. Bronze statue in Tavistock, in the parish of which he was born, by Joseph Boehm, 1883. Arms granted to John Hawkins in 1565, for the massive profits he made in the slave trade. Sable on a point wavy, a lion passant or, in chief three bezants, crest, a demi Moor in his proper colour, bound and captive, with annulets in his arms and ears. Note the lion in the grant of arms is described as passant, but in the accompanying illustration is statant. Sir Martin Frobisher, assumed to be the subject of this portrait, took command of the fleet when Raleigh was recalled. A 16th century illustration of the island. The mooring wall where the Spanish and English ships were docked is visible at the center of the image. It is unclear if there were any buildings on the island at the time of the battle. The Spanish Tercios landing on Terceira (July, 1583).Painting at: El Escorial Hall of Battles. Spanish Admiral Don Álvaro de Bazán. Naval Museum of Madrid. Dom António managed to escape from Terceira Island with some of his men. Island of Pantelleria coast: The English ships came close to shore for their protection. Sesimbra Bay as seen today. Fresco by Niccolò Granello showing the Battle of Ponta Delgada in the Hall of Battles at El Escorial. 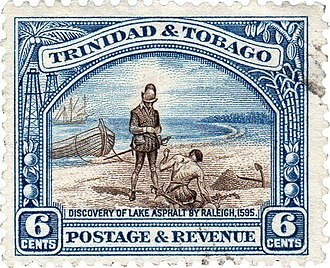 Trinidad and Tobago stamp featuring the "Discovery of Lake Asphalt by Raleigh, 1595"
Panoramic view from Guadalupe Island.